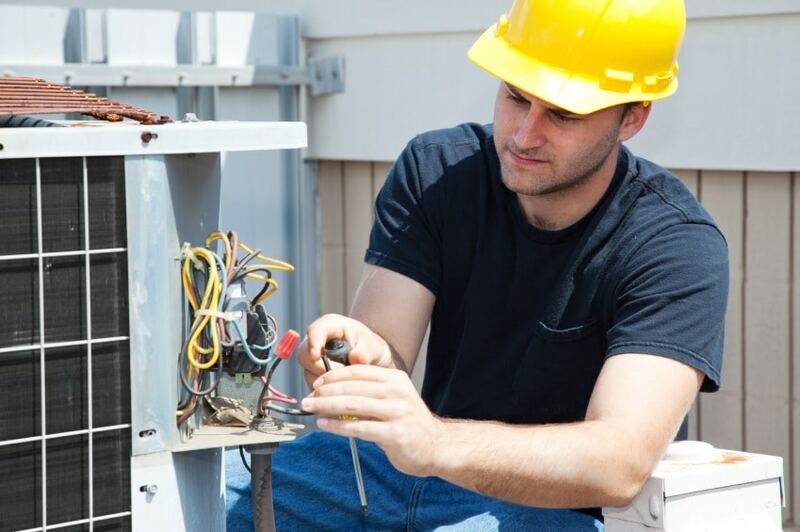 Why Wait For Your AC Installation? AC installation with the guys in the yellow booties. Make 2015 your last hot summer, and look forward to staying cool inside in 2016. The sweltering hot days of summer are finally behind us. This summer was even fairly mild compared to most Texas summers because of all the unusual rain we saw. Of course the flooding was a nightmare, but the regular thunderstorms helped to cool off temperatures. If you are new to the Texas area then you should probably know now that the summer you just experienced is about as cool and comfortable as Texas summers get. 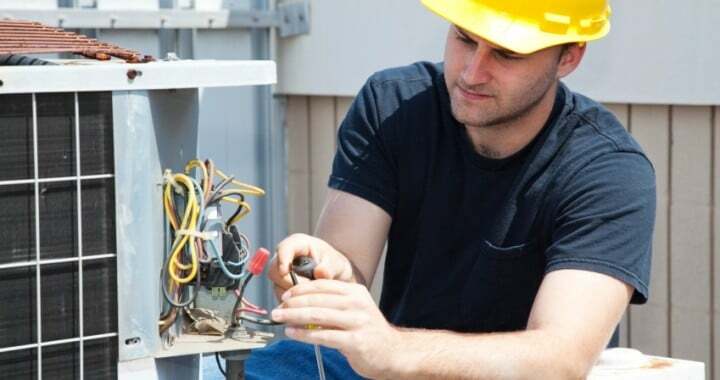 So if you found yourself hot, sticky and uncomfortable while trying to make do with fans or a swamp cooler, it may be time to consider refrigerated air conditioning with an AC installation. Swamp coolers actually work better in drier climates and aren’t designed for the humid conditions we experience here. If you have put off getting air conditioning installed in your home or business because of the cost, now is the perfect time to remember how hot you felt and how important your quality of life really is, and set aside a little money every month through the fall and winter to be able to budget for air conditioning. Make 2015 your last hot summer, and look forward to staying cool inside in 2016, even if we go back to the record heat we’re used to experiencing in the summer time. If you would like an estimate on what it would cost to install an air conditioning unit in your home, please contact us. We would be glad to let you know what’s required to keep your home cool and comfortable all summer long with a new AC installation. What you can’t see can hurt you says one residential comfort advisor. Your indoor air may contain any number of contaminants that are microscopic to the eye but easily inhaled through the breathing passages. As a matter of fact indoor air can be up to five times more polluted than outdoor air according to the Environmental Protection Agency. And the cause could be from typical household activities including smoke from cooking fumes from cleaning or hobbies fibers from carpets and moisture from showers and baths just to name a few. Indoor pollution can come from gases and particles released into the air through gas stoves water heaters dryers for example. Another kind of pollutant volatile organic compounds (VOCs) are chemicals found in paints and lacquers cleaning supplies pesticides furnishings air fresheners and even dry-cleaned clothing just o name a few sources. Unfortunately once inside the pollutants can stay for a while. In the summer homes that are closed up tight to keep cooling systems running efficiently can trap and recycle pollutants in the living space. As a first line of we encourages homeowners to change or clean their air conditioning filters regularly. These filters are essential for collecting dust dust mites pet dander and other elements but they lose their effectiveness as they get full. Keeping clean filters in service keeps the air cleaner in your home. Air conditioning in the summer can be good for indoor air quality because as it removes moisture from the atmosphere it also removes pollutants that are water-soluble as well as pollen and particulate matter. But he cautions that systems need to be checked annually and tuned up to ensure safe and efficient operation. If you’d like to evaluate the indoor air quality in your home call SoBellas or contact us to schedule an indoor air quality check.